Oxford University Press, USA, 9780195313666, 260pp. The author of the Pulitzer Prize-winning Battle Cry of Freedom and the New York Times bestsellers Crossroads of Freedom and Tried by War, among many other award-winning books, James M. McPherson is America's preeminent Civil War historian. In this collection of provocative and illuminating essays, McPherson offers fresh insight into many of the enduring questions about one of the defining moments in our nation's history. McPherson sheds light on topics large and small, from the average soldier's avid love of newspapers to the postwar creation of the mystique of a Lost Cause in the South. Readers will find insightful pieces on such intriguing figures as Harriet Tubman, John Brown, Jesse James, and William Tecumseh Sherman, and on such vital issues as Confederate military strategy, the failure of peace negotiations to end the war, and the realities and myths of the Confederacy. This Mighty Scourge includes several never-before-published essays--pieces on General Robert E. Lee's goals in the Gettysburg campaign, on Lincoln and Grant in the Vicksburg campaign, and on Lincoln as Commander-in-Chief. All of the essays have been updated and revised to give the volume greater thematic coherence and continuity, so that it can be read in sequence as an interpretive history of the war and its meaning for America and the world. 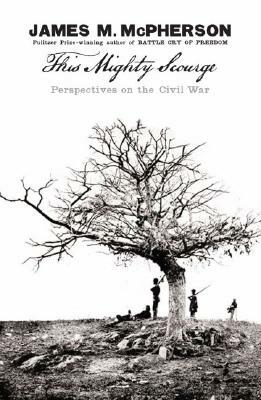 Combining the finest scholarship with luminous prose, and packed with new information and fresh ideas, this book brings together the most recent thinking by the nation's leading authority on the Civil War. James M. McPherson is the George Henry Davis '86 Professor of History Emeritus at Princeton University. He has published numerous volumes on the Civil War, including Lincoln and the Second American Revolution, Drawn with the Sword: Reflections on the American Civil War, and For Cause and Comrades: Why Men Fought in the Civil War, which won the prestigious Lincoln Prize in 1998.